DOMENIILE PANCIU are succeeding a new European level performance as they obtained the GOLD MEDAL for their famous sparkling wine Muscat Ottonel Panciu Riserva 2017 in the contest of Berliner Wein Trophy 2018. 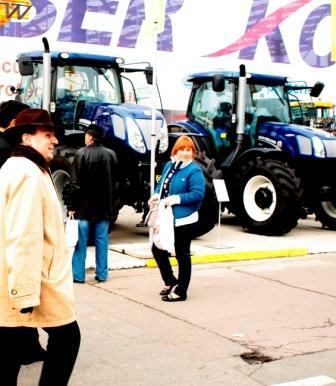 The Berlin-based competition can be best evaluated by a few key figures like: 6700 wines under jury evaluation, 198 experts garnered as jurors for the contest, 35 committees dedicated to the evaluations and a few gold medalists among whom DOMENIILE PANCIU from Vrancea Tifesti had taken center stage. DOMENIILE PANCIU achieved the apex of international recognition and succeeded in placing under limelight once more the value of the Vrancea terroir that is producing sparkling wines on equal footing with famous Champagnes sparkling wines or Italian ones. We must remember that: the DOMENIILE PANCIU under the brand name of CASA PANCIU was selected as Europe`s representation and diplomatic wine in 2014 and in 2017 on the EUROPE DAY ceremony the Vin d’honneur was once again provided by the DOMENIILE PANCIU selected wine. In Romania, in three out of six years, DOMENIILE PANCIU were selected to uphold Romanian wine industry prowess and to keep the banner of the Romanian sparkling and still wines being awarded the DIPLOMATIC WINE designation in 2014, 2016 and again in 2017. 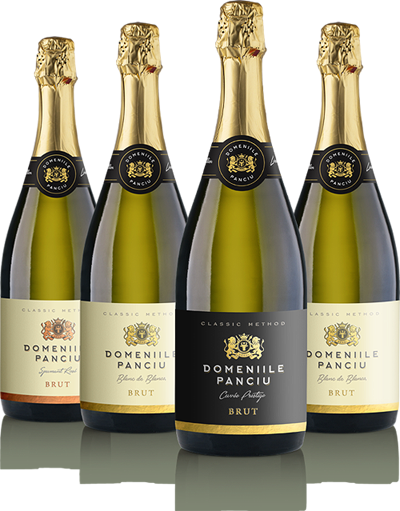 To this long list of achievements we must add the DECANTER bronze for the DOMENIILE PANCIU BRUT sparkling wine in 2015, 2016 and 2017 and in 2015 the Muscat Ottonel sweet wine has received a Special Mention for a perfect aroma and balanced taste winning the appraisals of world`s top wine tasters, as the organizers of DECANTER competition are affirming. A new promotion campaign for Romanian wines will have his start from July 4th 2017, under the banner: THE SUMMER STARTS WITH DOMENIILE PANCIU WINE! The wine promotion campaign is destined to present, to an international audience, THE BEST ROMANIAN WINE: DOMENIILE PANCIU. PANCIU DOMAINS (DOMENIILE PANCIU) has received the most outstanding recognition, for the quality of Romanian wine, in April 2017, when it was proclaimed the ROMANIAN DIPLOMATIC WINE. PANCIU DOMAINS (DOMENIILE PANCIU) is presenting his special wine collection for 2017. With the start of this promotion campaign ambassadors and wine tasters, from all around the world, will enjoy the brands selected and highly marked as the best wines produced in Romania, the wines created by PANCIU DOMAINS (DOMENIILE PANCIU). 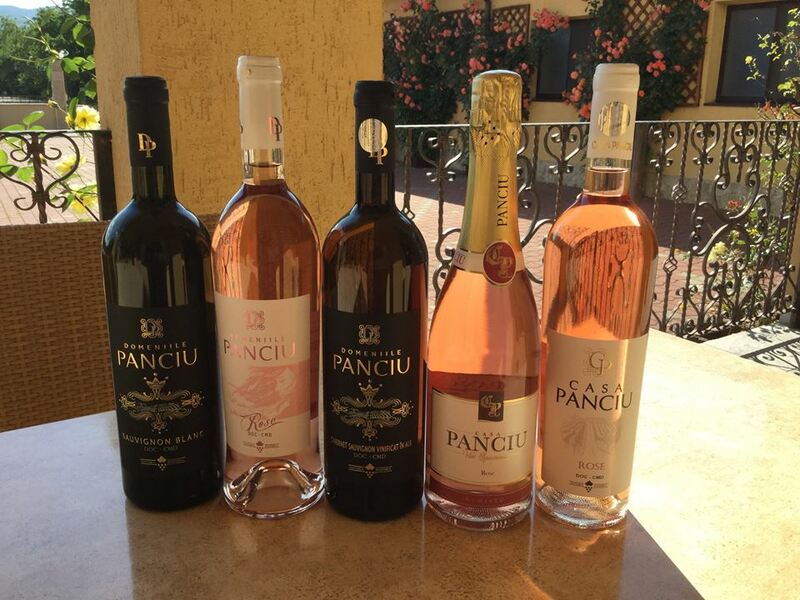 The selection of wines, that will be presented for the SUMMER 2017 campaign: THE SUMMER COMES FROM PANCIU! will include the list of Ambassador wines of Romania and will be presented to diplomats, foreign journalists and importers of wine from across the world. 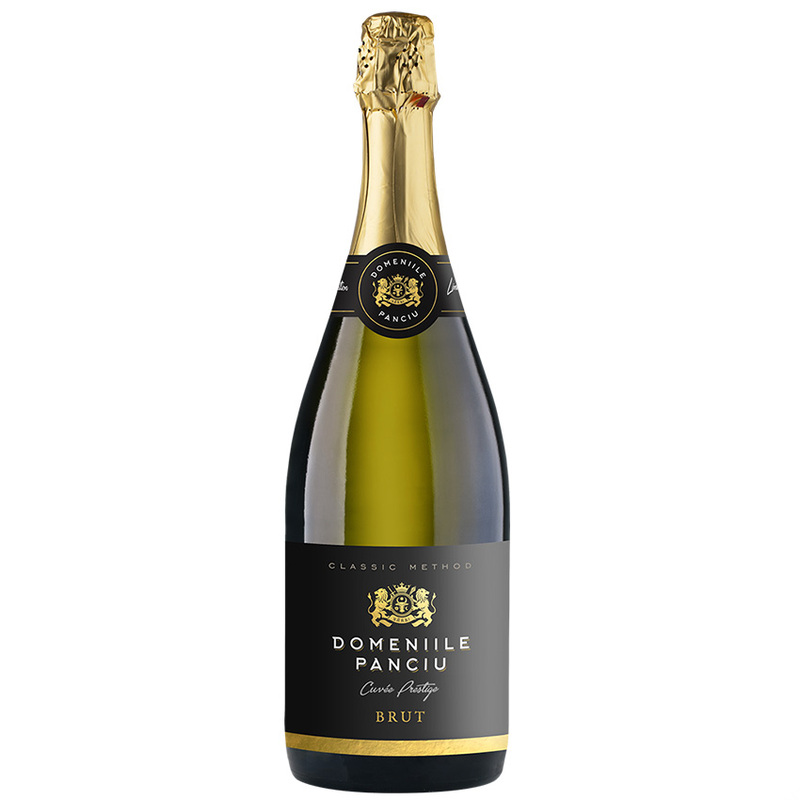 The list is opened by PANCIU DOMAINS (DOMENIILE PANCIU)-Blanc de Blancs a sparkling wine that is widely considered the most refined of all the sparkling wines ever created with classic methods. The DOMENIILE PANCIU-Blanc de Blancs will be thea highlight of the diplomatic parties and receptions and will bring glamour to the main diplomatic events of summer 2017. Domeniile Panciu Cuvée Prestige, the winemaker`s blended in the perfect XVII century tradition of Dom Perignon wines from Chardonnay, Pinot Noir and for a touch of modernity added some Fetească Regală (Royal Girl). The Romanian A list of diplomatic guests will enjoy from July 1st to October 1st 2017 among other wonderful wines the famous Feteasca Neagra (Black Girly) from DOMENIILE PANCIU, a wine that was named THE BEST ROMANIAN RED WINE for 2014 and conquered the world public as the flagship wine of Romania. As the Romanian wine is suffering from an acute lack of international promotion the campaign: THE SUMMER STARTS WITH DOMENIILE PANCIU WINE! will address this issue. The campaign will present a carefully drafted list of the exceptional selection of wines from DOMENIILE PANCIU, celebrating the aroma and natural character of the wines coming from Vrancea region and appointed by the international recognition as the top line of quality in Romanian wine industry. You could also join in the program by consuming, as a true Romanian ambassador, the wines of DOMENIILE PANCIU, offering as a gift this premium wines and enjoying the BEST ROMANIAN WINE for 2017: DOMENIILE PANCIU. To further attract the visitors of the March 2017 edition of GOODWINE, the CASA PANCIU House of Wines will send to the venue on this occasion the famous teams of sommelier`s: to present with verve and passion the true nature and history of the PANCIU wines. To add pomp and international recognition to the event, for the benefit of Romanian wines, on 2 April 2017, Professor Dr. Anton Caragea-President General Director of Institute of International Relations and Economic Cooperation will lead a delegation of ambassadors and parliamentarians to open the exhibition area and to visit PANCIU House of Wines, the creator of the BEST WINE OF ROMANIA IN 2017. For on-line ordering the products of DOMENIILE PANCIU you can acces this link. Romanian tourism starts to rapidly grow in recognition and appreciation on European and world stage. Romania is already recognized for natural beauties, but the increased recognition of hospitality industry and service areas of Romanian hotels are starting to gain more appreciation from European tourists. The ROYAL hotels, a chain garnering hotels in Bucharest and Constanta had become the first Romanian hotels that received the authoritative EUROPEAN QUALITY AWARD for hotels in recognition of the exceptional quality of services rendered by the two hospitality centers. The function for awarding the EUROPEAN QUALITY AWARD for tourism and hotels was hosted by ROYAL Hotel in Bucharest in the presence of accredited diplomatic corps, Romanian parliament representatives, European Tourism Academy, European Council on Tourism and Trade and Institute of International Relations and Economic Cooperation of Romania. Professor Dr. Anton Caragea, The Institute of International Relations and Economic Cooperation President, had highlighted the special efforts dedicated by ROYAL Hotels in offering tourists the best lodging and relaxation opportunities, the constant desire to improve the experience of being a guest at ROYAL Hotels and clearly marked the importance for Romanian tourism of registering the first European quality hotels. The EUROPEAN QUALITY AWARDS is a guarantee mark of the exceptional services and hospitality that are meeting and catering for the needs of the guests of ROYAL Hotels in Bucharest and Constanta. The Press and PR Director of ROYAL Hotels Mr. Alexandru Ion has outlined for the press the main characteristics of the Groups hotels. The ROYAL Hotel in Bucharest is conveniently located in Bucharest center offering 97 rooms, luxourios furnished and perfectly adapted for business or leisure and especially connected to all modern technologies allowing for rapid communications, essentials for XXI century traveler. 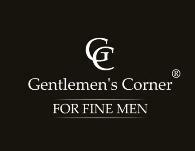 A 120 places restaurant, with high class chefs, that are making every meal and course a special celebration. ROYAL Bucharest Hotels offers and prime quality business locations with latest transmission equipments that are making every event hosted a sure success. ROYAL Hotel Constanta is offering perfect furnished accommodations comprised of 10 single apartment style rooms and 40 singles all elegantly and modern equipped and offering all the required facilities for a luxury hotel. Constanta ROYAL Hotel is located 400 meters from the beach and in central part of the town garnering in equal measure the pleasures of the sea and the city proximity. Two conference areas, modernly build and equipped with large welcoming areas are offering to the hotel the charm of a truly European hotel. Professsor Dr. Anton Caragea entrusts the EUROPEAN QUALITY AWARD for ROYAL Hotel Group. 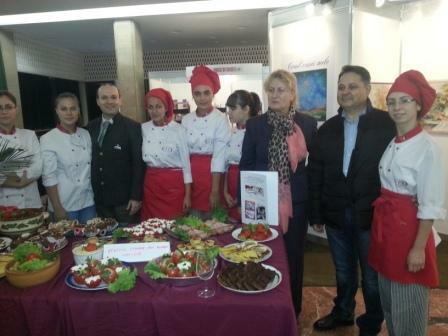 After the official entrusting of the EUROPEAN QUALITY AWARD certificate for ROYAL hotels from Bucharest and Constanta, diplomats and high ranking officials presents on the venue had enjoyed a special festive table entertaining both European and special Romanian cuisine and tasted the ROMANIAN DIPLOMATIC WINE for 2016 from House of Panciu. In one voice the diplomatic corps present at the venue had offered high marks for the hospitality offered by ROYAL Hotel and for the Romanian tourism potential that can be cherished and discovered only at the best Romanian hotels of ROYAL GROUP. The Romanian wine aficionados attended the yearly meeting destined to showcase the best of Romanian wines and to elect the DIPLOMATIC WINE FOR 2016-THE BEST WINE OF ROMANIA. The 30th January 2016 gathering took place in the luxurious compound of Mariott Hotel. Listening to already a long-established tradition of DIPLOMATIC WINE ceremony: the ambassadors, politician, diplomats and tasters who hold wine in the greatest esteem as a phenomenon of culture and civilization embraced the opportunity to sample and final select the best wines of Romanian and the leading wine makers of the year 2015. Under the chairmanship of Institute of International Relations and Economic Cooperation of Romania team, Bucharest had become the capital of wine makers and sparkling wine lovers in search of the best wines and sparkling wines that Romania can offer. After the tasting session the delegation of wine experts, parliamentarians and diplomats has taken the opportunity to taste and appreciate the Romanian tranquil wines and sparkling wines on display and to carve up a top of Best Romanian Wines of 2016. 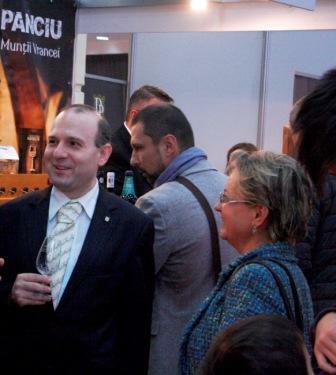 The undisputed winner of Romanian wines competition was the famous CASA PANCIU-HOUSE OF PANCIU who obtained the reconfirmation of her status as the Romanian wine highest quality producer and who was crowned as DIPLOMATIC WINE FOR 2016. Diplomats and representatives from Republic of Moldavia and Eastern European Countries and Professor Dr. Anton Caragea-IRICE President General Director and Senator Ionel Agrigoroaei tasting the acclaimed BEST ROMANIAN WINE FOR 2016 -DIPLOMATIC WINE. In the enthused applauses of the participants the name of ROMANIA`S BEST WINE FOR 2016 was revealed and it was: FETEASCA NEAGRA (Black Girly) from CASA PANCIU. The second place was due to another special wine-MUSCAT OTTONEL from CASA PANCIU/HOUSE OF PANCIU, while the III place has being directed to an example of Romanian winemaking-the Cabernet Sauvignon a product of vinification in white. On the sparkling wines the fight was less contentious as the famous producer HOUSE OF PANCIU (CASA PANCIU), reconfirmed his status as perfect wine maker in the sparkling wine tasting of 2016. The MUSCAT OTTONEL, sparkling version, won the day and conquered the hearts with his perfect bouquet of aromas of vanilla and berry fruits and for freshness and the round savory taste. This specificity is creating for every person who taste it, the perfect experience of Romanian sparkling wine. The second place on sparkling wine tasting session was awarded to the blended sparkling wine from Muscat Ottonel and Royal Girl (Feteasca Regala) obtained by Asti method that eloquently proved his high quality by his perfect sugar concentration combined outstanding with fresh fruits aroma (grapefruit and pommel). Celebrating the BEST ROMANIAN WINE-CASA PANCIU/HOUSE OF PANCIU: tasters from Targoviste University, Mr. Tudor Stefan-Head of Royal Group of Hotels and Professor Dr. Anton Caragea-IRICE President. We have now, for a year-long period, in CASA PANCIU/HOUSE OF PANCIU, crowned the most famous Romanian wine maker named as DIPLOMATIC WINE, the representation wine for Romania in 2016. The BEST ROMANIAN WINE for 2016 the FETESCA NEAGRA has conquered with her long-lasting flavor and has filled with joy the heart of all the diplomats attending the ceremony, stated Professor Dr. Anton Caragea-President Director General of Institute of International Relations and Economic Cooperation. CASA PANCIU/HOUSE OF PANCIU is bringing joy and marry celebration to the Chamber of Commerce and Industry representatives! Let`s raise the glass with this Vin d`honneur (Wine of honour) and wish her success in representing ROMANIAN DIPLOMATIC WINE FOR 2016! was the toast of professor Dr. Anton Caragea and his accompanying diplomats. The diplomats involved in the tasting session had attended a Q&A session with the press and wine makers and encouraged them to keep the CASA PANCIU high mark of quality and to increase the wine quality in the perfect combination of HOUSE OF PANCIU/CASA PANCIU. 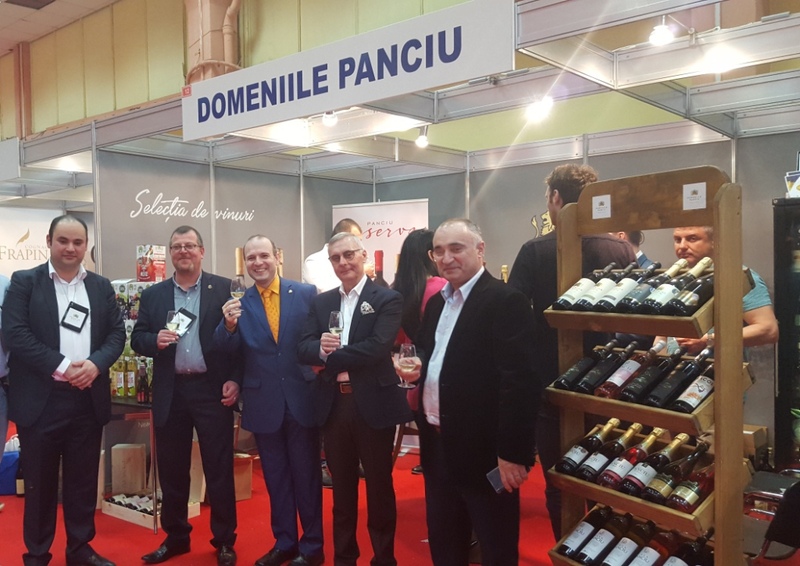 CASA PANCIU had already conquered the European markets with a consistent export and is insuring the presence of Romanian wines on international markets was the conclusion of diplomats and specialized wine tasters present at the venue. November 2015 brings a new brand appearance, on the alcoholic beverages market in Romania. ANA ARE has created this product to the combination of a sea buckthorn juice, known as a tresure for his tonic and vitalizing capabilities and exceptionally powerful natural antibiotic with exceptional anti-cancer and anti-inflammatory effects. It was still in the testing phase when this product got its name as the MIRACLE, as it brings together all that is most precious in the nature pharmacopoeia (juice of seabuckthorne) and wine-the beverage loved by people and gods alike: wine. 2015-NATIONAL ROMANIAN WINE PROMOTION CAMPAIGN! The wine produced by COTNARI HOUSE OF WINE was presented on the official diplomatic venues during 2015. Victor Deleanu-COTNARI HOUSE OF WINE Chairman presented with the creator of DIPLOMATIC WINE trophy for 2015. Romanian Champions: Place no.1: COLLOQUIUM IN PARIS, Place no. 2 : COLLOQUIUM IN MOSCOW, Place no. 3: FETEASCA NEAGRA( Black Girl)-DOMENIUM. THE SPRING 2015 STARTS AT COTNARI HOUSE OF WINE! A new promotion campaign for Romanian wines will have his start from 8th April 2015, under the banner: THE SPRING STARTS AT COTNARI HOUSE OF WINE! The wine promotion campaign is destined to present to an international audience the BEST ROMANIAN WINE: COTNARI HOUSE OF WINE. The COTNARI HOUSE OF WINE (CASA DE VINURI COTNARI) has received the most outstanding recognition, for the quality of Romanian wine, in December 2014. With the start of this promotion campaign, ambassadors and wine tasters,journalists and HoReCa representatives from all around the world, will enjoy the brands selected and highly marked as the best wines presented by Romania, the wines produced by CASA DE VINURI COTNARI (COTNARI HOUSE OF WINE). The selection of wines, that will be presented for the SPRING 2015: THE SPRING COMES FROM COTNARI HOUSE OF WINE ! will include the Ambassador wines of Romania and will be presented to diplomats, foreign journalists and importers of wine from across the world. Traditional Romanian wine ! Traditional Romanian dances! Spring comes from COTNARI! Amongst the special wines presented on this occasion the list includes the BEST ROMANIAN WINE for 2015: COLLOQUIUM IN PARIS-BUSUIOACA DE BOHOTIN (awarded with 98 points) that will be a highlight of the diplomatic parties and receptions and will bring glamour to the main diplomatic events of spring 2015. The Romanian diplomatic guests will enjoy from 8 April to 1 July 2015 the famous Feteasca Neagra (Black Girly) from COTNARI HOUSE OF WINE, Domenii label, a wine that was named THE BEST ROMANIAN RED WINE for 2015 and conquest the public during GoodWine international Fair in March 2015. Other wines that will represent the best of what Romanian wines have to offer, produced by the COTNARI HOUSE OF WINE the most significant producer from Moldavia region, are including the COLLOQUIUM IN MOSCOW-from famous Grasa de Cotnari, a specific Romanian grape variety, freshly bottled after ageing in 2014 (considered with 91 points). As the Romanian wine is suffering from an acute lack of international promotion the campaign: : THE SPRING COME FROM COTNARI HOUSE OF WINE ! will address this issue. The campaign will present with a carefully drafted list of the exceptional selection of wines from COTNARI HOUSE OF WINE , by the aroma and natural character of the wines coming from Iasi region and by the international recognition of the wines of COTNARI HOUSE OF WINE, the top line of quality of Romanian wine industry. On 21 March 2015 at the Romexpo Hall in Bucharest, the opening ceremony of International Wine Fair GoodWine has taken place. 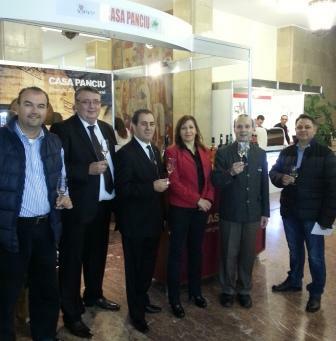 On this occasion, Professor Dr. Anton Caragea-President General Director of Institute of International Relations and Economic Cooperation, accompanied by a delegation of parliamentarians and diplomats had opened the Venue and visited the stand of CASA DE VINURI COTNARI (COTNARI HOUSE OF WINE) the creator of Romanian Diplomatic Wine for 2015. COTNARI HOUSE OF WINE had presented, on the opening of International Wine Fair GoodWine, a selection of the best wines of 2015: the BUSUIOACA DE BOHOTIN (Bohotin Basilicum)-COLLOQUIUM IN PARIS wine, who conquered the public with his pungent aroma, fine pearled image and the apple and fruity dominated taste a wine nearing perfection and marked with 98 points out of 100 for the flowery flavor. The wine presentation continued with another star of COTNARI-DIPLOMATIC WINE: the Rose Wine from Dominium (Domenii) series of COTNARI HOUSE OF WINE and the Black Girly (Feteasca Neagra) from Dominium, launched in the spring of 2014. Was presented also a wine preferred by European tasters: the special Fat Lady of Cotnari (Grasa de Cotnari) a wine that conquered all hearts by his long-lasting aroma, fine taste and technological mastery. The BUSUIOACA DE BOHOTIN (Bohotin Basilicum)-by COTNARI HOUSE OF WINE was undoubtedly the Queen of the festivity. 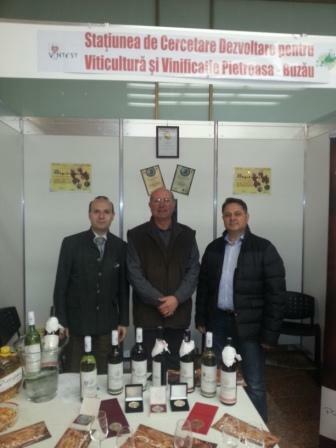 The international recognitions had poured on the BUSUIOACA DE BOHOTIN: noted as the perfect European Wine in December 2014 and voted by the diplomatic committee in December 2014 at Good Wine, as the BEST ROMANIAN WINE in 2015, it catches the eyes of all the visitors and lovers of good wine. THE COTNARI HOUSE OF WINE had presented also the celebrated national wine assortment: Feteasca Neagra in two separate editions. One, under the brand of Domains (Domenii) and a special and unique surprise the presentation of the new FETEASCA NEAGRA of 2014 both united by a perfect mastery of the tannins, a perfect maturity potential that is promising a good evolution in the bottle and will offer full enjoyment to the consumers for many years to come. The guests present on the venue, crowded to taste the Busuiaca de Bohotin-THE BEST ROMANIAN WINE FOR 2015, and awarded by The Institute of International Relations and Economic Cooperation with the title of Diplomatic Wine, the Romanian representation wine. Concluding the tour of the COTNARI HOUSE OF WINE-the creator of the DIPLOMATIC WINE FOR 2015 Professor Dr. Anton Caragea ask the honored guest present at the venue: H.E. Ambassador of Kazakhstan Batrashev Daulet and H.E. Ambassador of DPR Korea-Ri Kwang Il and parliamentarians to be witness at the presentation of the WINEMAKER FOR 2014 title for Mr. George Malutan-the oenology expert of CASA DE VINURI COTNARI (COTNARI HOUSE OF WINE) for his Feteasca Neagra wine creation. Presenting his assessment on the International Wine Fair GoodWine March 2015, Professor Dr. Anton Caragea- President-General Director of Institute of International Relations and Economic Cooperation stated that the event has proved the ever-growing level of Romanian wine industry and of Romanian wine producers, perfect represented by the COTNARI HOUSE OF WINE- the creator of Romanian Diplomatic Wine. The Palace of Parliament has opened his gates to allow for the members of the diplomatic corps, foreign diplomats in visit to Romania and members of Parliament to meet the ambassador of Romanian wine, THE BEST WINE OF ROMANIA FOR 2015-the wine created by COTNARI House of Wine. THE BEST WINE OF ROMANIA FOR 2015 was tasted at the Palace of Parliament by the diplomatic and political elite. The event has taken place on 3 March 2015 and has being attended by dozens of parliamentarians. Together with the leaders of the Parliament, on the presentation of the ROMANIAN DIPLOMATIC WINE where present also 23 diplomatic representatives and amongst the Romanian personalities that had enjoyed the perfect wine where: Senate Leader-Florin Constantinescu-Chairman of the Energy, Industry and Transport Committee of the Parliament, Professor Dr. Anton Caragea-President General Director of Institute of International Relations and Economic Cooperation of Romania, Senator Marcel Dumitru Bujor-President of the Committee for Romanians Abroad and International Relations, Deputy Costel Alexe-Chairman of the Romania-Kazakhstan Parliamentary Friendship Group, UNESCO Committee-Senator Constantin Popa, senators Ionel Agrigoroaei and Ciprian Rogojan from Defense Committee and European Affairs Committee. The DIPLOMATIC WINE, the achievement of COTNARI House of Wine had mesmerized the political and diplomatic elite from Europe, Romania and the world, elite that have the opportunity to taste the aroma, perfume and the long-lasting taste of wines from DOMINIUM and COLOCQUIUM series of wine. The stars of the tasting ceremony where the rapidly exhausted assortments like: Colloquium at Moscow (Grasa de Cotnari), Colloquium at Paris (Busuioaca de Bohotin) and White and Read girly (Feteasca Neagra and Feteasca Alba) from DOMINIUM series of Cotnari wines. For all those present on the venue the wines presented were noted as solid wines, easy to place on the highest international quality standard and representing the Romanian terroir blended with the perfect latest wine making technologies. The Romanian wine has by now his best ambassador in the world, the Cotnari house of wine-DIPLOMATC WINE, was the unanimous conclusion of the personalities present on the venue. Presenting the BEST WINE OF ROMANIA, in a ceremony hosted in Palace of Parliament, another landmark of our country is perfectly carved and I think is equating two images of Romania in the world: the DIPLOMATIC WINE, the best European wine and the building of the Parliament, the greatest European official building and the second in the world. The tasting ceremony was a succes! From right to left: Victor Deleanu-Cotnari House of Wine, Senator Ionel Agrigoroaei, Professor Dr. Anton Caragea-IRICE President, Academician Mircea Constantinescu, Valentin Nechita-HORECA manager-Cotnari, General Gheorghe Balaban, Dl.Tudor Stefan. This are today to landmarks that are making us proud and are felicitous intertwined, appreciated Professor Dr. Anton Caragea-IRICE President Director General. Professor Dr. Anton Caragea, President General-Director of Institute of International Relations and Economic Cooperation, together with Tourism Minister President Mrs. Simona Man, presented the Chairman of COTNARI House of Wines Mr. Victor Deleanu with the Prize for DIPLOMATIC WINE FOR 2015. This was in appreciation for the company role in promoting Romanian wines and for constructing the wine that will be promoted for a year long period, as the quintessence of everything that Romanian wine industry is having precious. On the occasion of the International Wine Fair-Good Wine 2014, the ceremony for unveiling DIPLOMATIC WINE for 2015 has taken place. The DIPLOMATIC WINE selection is destined to present to the world the main values of Romanian and European wine culture for 2015 and will represent the embodiment of the BEST WINES FOR 2015. From left to right: Deputy General Secretary of Government-Liviu Neagu, Mrs. Simona Man- Minister-President of National Tourism Authority, Prof.Dr. 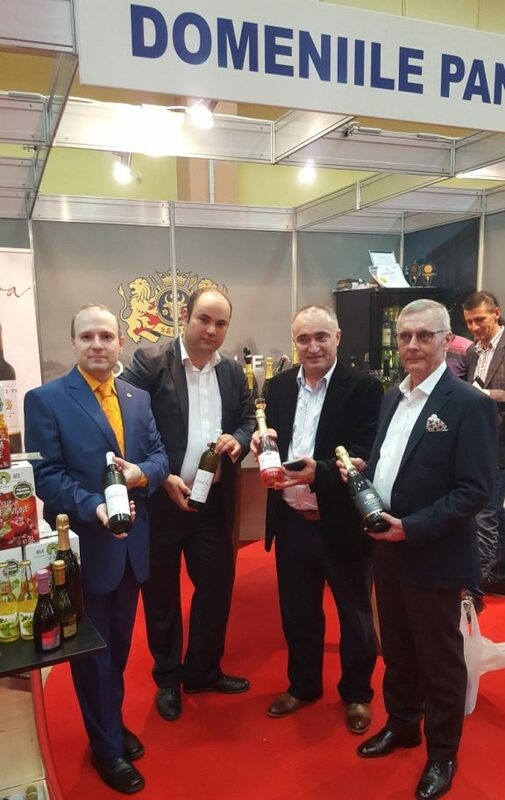 Anton Caragea-President General Director of IRICE, Victor Deleanu-President Cotnari House of Wines-creator of DIPLOMATIC WINE, senator Ionel Agrigoroaei, Stefan Timofti-sommelier House of Wines-COTNARI. The ceremony has taken place in the presence of the Diplomatic corps, accredited to Romania and representatives of European Council on Tourism and Trade, Institute of International Relations and Economic Cooperation, Minister of Tourism-Mrs. Simona Man-President of National Tourism Authority, European Parliament representatives and Deputy Secretary General of Romanian Government-Mr. Liviu Neagu. The wines where introduced to the public by the Cotnari House of Wines sommelier –Stefan Timofti , who underlined the pure Romanian traits of Feteasca Neagra wine ilk, who’s traces in history goes as far as Cucuteni Culture (5.000 years ago),a perfect representative wine for Romanian and House of Cotnari. In sign of recognition of the intrinsic value of the Feteasca Neagra wine, produced by COTNARI House of Wines, the Deputy Secretary General of the Government, Mr. Liviu Neagu handover on behalf of Institute of International Relations and Economic Cooperation the special prize for the wine maker George Malutan, who was hailed as the WINEMAKER OF THE YEAR. The Senator Ionel Agrigoroaei has presented the prize for BEST WINEMAKER OF THE YEAR to the Victor Deleanu – Chairman of COTNARI-House of Wines, in sign of recognition for his exertions in promoting Romanian wines on international stage and for the tremendous achievement of being elected as the creator of the DIPLOMATIC WINE FOR 2015-Best wine of Romania. Professor Dr. Anton Caragea is presenting the DIPLOMATIC WINE-BUSUIOACA DE BOHOTIN FROM COTNARI HOUSE OF WINES. The long awaited moment, of DIPLOMATIC WINE ceremony, had started with the public presentation of the best wine-Bohotin Basil (Busuioaca de Bohotin) an exceptional wine by his traits of persistence, pun gent aroma of exceptional quality. Ambassadors and diplomatic representatives on the venue of the Diplomatic Wine ceremony: center stage H.E. Vietnam Ambassador in Romania-Tran Xuan Thuy. The Ceremony for Diplomatic Wine for 2015 marked a central point in promoting Romanian wines authentic values and highlighted the economical and oenological tourism potential of our country on a world stage. Professor Dr. Anton Caragea, President General-Director of Institute of International Relations and Economic Cooperation had complimented the exertions of Chairman Victor Deleanu to promote the Romanian wines, wines of exceptional quality thru the world and his decision to unleash the revolution of the Romanian wines assortments. The perfect moment in the life of any oenology expert is his international achievements recognition by the famous title of WINEMAKER OF THE YEAR. On 6 December 2014, on the ceremony to present the best Romanian wines and on the venue for unveiling the DIPLOMATIC WINE for 2015, Mr. Victor Deleanu-Chairman of the COTNARI-House of Wines, the author of the Romanian wine`s ilk’s revolution, received in a festive ambiance the title for BEST WINEMAKER OF THE YEAR. Mr. Victor Deleanu is proclaimed as the WINEMAKER OF THE YEAR (2014). Over 20 diplomats from three continents, plus European and Romanian officials and European parliamentarians where present on the venue in order to try out the wines created by the oenological specialists of COTNARI- House of Wines, wines crowned as the DIPLOMATIC WINE of 2015. This wine revolution hopes to place in the first rank of the wine making process the assortment of the grape, the aroma and the persistence naturally present in the Romanian wipe grapes. Grasa de Cotnari (Fat Lady of Cotnari) is universally recognized as a perfect wine. Based on this grapes, exceptional wines can be carved out, this is the manifest credo of the owner and wine creator of Cotnari-House of Wines-Mr. Victor Deleanu, creed validated by the election of his wines as the BEST ROMANIAN WINE for 2015-DIPLOMATIC WINE. COTNARI-HOUSE OF WINES is an ambitious project that is encompassing a plantation with total of 350 hectares, out of which 100 hectares are cultivated with the famous Romanian grape variety: Feteasca Neagra(Black Girl), the Busuioaca de Bohotin(Bohotin Basil) , world celebrated for his unique flavour is cultivated on 75 hectares, the Tamaioasa Romaneasca (Romanian Incense Flavour) favoured by the connoisseurs for his strong taste, unique palates, can be found on other 75 hectares, Feteasca Alba(White Girl) is produced on 50 hectares and the Grasa de Cotnari ( Fat Lady of Cotnari) assortment , which is on good reason named as the Romania treasure and is comprised in natural patrimony, is cultivated on 50 hectares. In order to properly recognize this serious, constant and sustained line of achievements, it was normal that the WINEMAKER OF THE YEAR title to be awarded to oenological team from COTNARI-House of Wines lead by Chairman Victor Deleanu. In the thunderous applauses of the diplomats and official`s present at the venue, Professor Dr. Anton Caragea, President General-Director of Institute of International Relations and Economic Cooperation had conferred the designation of WINEMAKER OF THE YEAR to the Chairman of COTNARI House of Wines, for his exertion in promoting wine culture and the specificity of Romanian wines. The wine maker for COTNARI Hose of Wines-THE BEST WINEMAKER OF THE YEAR, Mr. George Malutan had inscribed in his wall of trophy’s the promotion of specific Romanian wines such as: White Girl (Feteasca Alba ) and Black Girl (Feteasca Neagra ), Fat Lady of Cotnari (Grasa de Cotnari) benefiting by a unique aroma and taste and aromatized assortments such as: Romanian Incense (Tamaioasa Romaneasca) and Bohotin Basil (Busuioaca de Bohotin). The unveiling of the title for WINEMAKER of THE YEAR for 2014 and the public presentation of best European wines had succeeded in gathering in the same spot the wine connoisseur’s community of Europe, Romania and the entire world on the venue of the International Wine Fair. George Malutan is the WINEMAKER OF THE YEAR. Diplomats from Europe, Asia and Africa, members of Institute of International Relations and Economic Cooperation, European Council on Tourism and Trade, European Bank for Reconstruction and Development and countless personalities had convened on the spot, eager to know the names of 2014 best of wines and their makers. In order to enchant the audience, the organizers decided that: the name of the BEST WINEMAKERS should be accompanied by the tasting of their prized creations. The award ceremony and the tasting session had commenced by a Feteasca Neagra (Black Girl) from Dominium series of Cotnari House of Wine, a perfect red wine that encompassed with distinction the work of the wining George Malutan, the winner of WINE MAKER of THE YEAR designation. Feteasca Neagra-one of the award wining creation of world fame of Mr. George Malutan. Mr. George Malutan had proven himself by long term and successful efforts in creating COTNARI-Hose of Wine products. Wines such as the Feteasca Neagra, had conquered the hearts and mind of diplomats at the DIPLOMATIC WINE contest for 2015, but also Mr. Malutan creations won many gold and silver medals, in the last span of time in International Wine Contests and tasting ceremonies. All this achievements bestow a perfect international recognition for his wines created for the portfolio of COTNARI House of Wines. Professor Dr. Anton Caragea, President General-Director of Institute of International Relations and Economic Cooperation of Romania had eulogized the wines created by Mr. George Malutan as perfectly capturing the terroirs specificity of Moldavia and Romania and respecting the long lasting tradition of wine making of the areas. His creations are garnering the art of wine production together with the latest technologies specific to the New World wines. The result is a perfect calibrated wine, this is a living proof that old European wineries can be still seductive created with the new technologies and can lead in the world top of wines. European and Romanian wines did not say their final word on the world stage, concluded Professor Dr. Anton Caragea. The wine maker for COTNARI Hose of Wines-THE BEST WINEMAKER OF THE YEAR, Mr. George Malutan had inscribed in his wall of trophy’s the promotion of specific Romanian wines such as: White Girl (Feteasca Alba ) and Black Girl (Feteasca Neagra 0, Fat Lady of Cotnari (Grasa de Cotnari) benefiting by a unique aroma and taste and aromatized assortments such as: Romanian Incense (Tamaioasa Romaneasca) and Bohotin Basil (Busuioaca de Bohotin).